Another weekend, another long day of riding: This past Saturday I drove back down to near Northfield with my buddy Sam to get in some miles on the rolling gravel roads. We've both signed up to do the Almazo 100 next month, and have some training to go before we're ready to tackle 100 hilly miles of gravel roads. 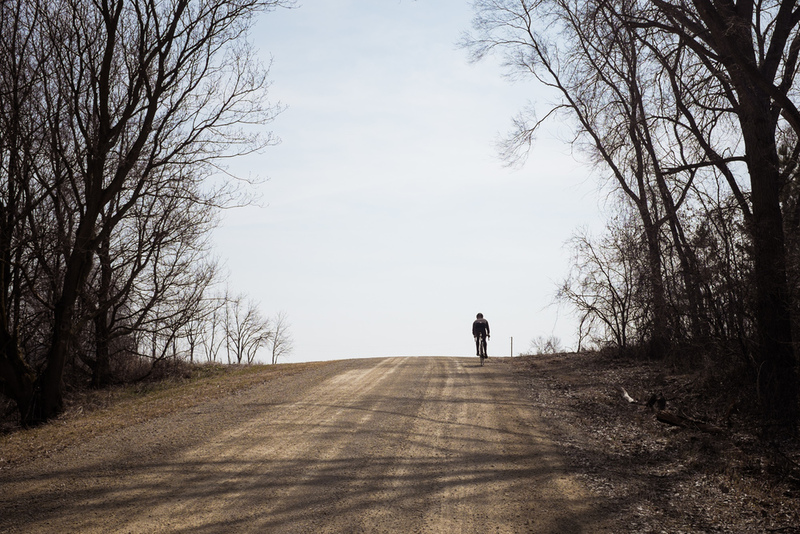 I was able to find a map for a route I rode originally as the Rawland Cycles Fall Tour, which covers nearly 50 miles, and cuts through some of the prettiest parts of Goodhue county. All but maybe 2 miles of the route is on gravel roads, also with two sections of minimum maintenance road; one included the most brutal climb of the ride, which looks like a wall as you come around the corner and see it. The other minimum maintenance road was marked closed, but we proceeded anyway, laughing as our bikes skittered a little in the mud, or as we had to get off and lift our bikes over the several fallen trees. While slow going, its the kind of "road" that makes a ride like this memorable.